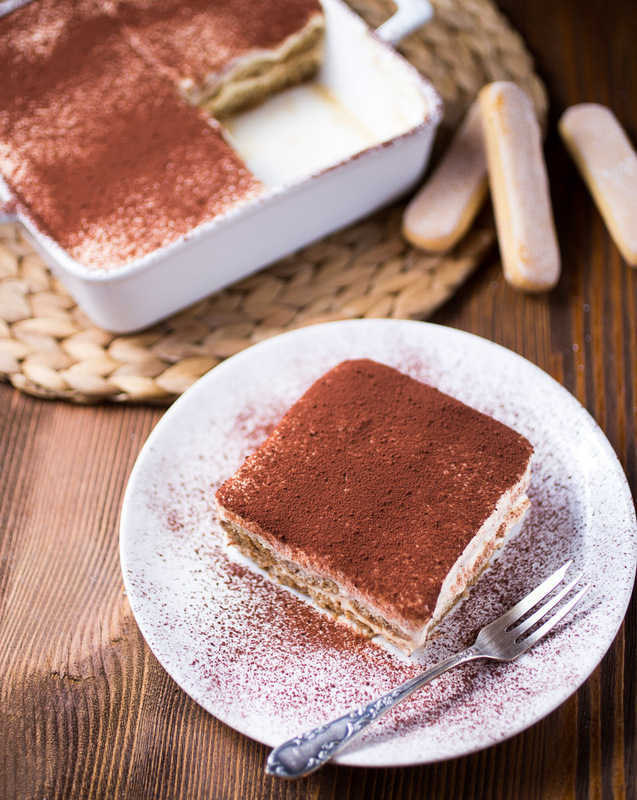 I don’t make Tiramisu often. It’s such a rich and heavy dessert you really shouldn’t have every week, but when I do make it, I feel like I’m in heaven with every bite I take. It’s the combination of juicy, coffee flavoured ladyfingers with the creamy, sweet mascarpone mixture that just takes this dish over the top. 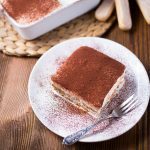 I had a lot of tiramisus in restaurants over the years, but I always come back to a classic nearly alcohol free recipe. Some people like to soak their ladyfingers in tons of booze, but that’s not for me. I feel it drowns the flavour of the cream. But hey… whatever floats your boat. I’m strange when it comes to alcohol in desserts and candy. I like booze and I like candy, but I don’t like the combination of both. I can tolerate a small amount, but that’s it. 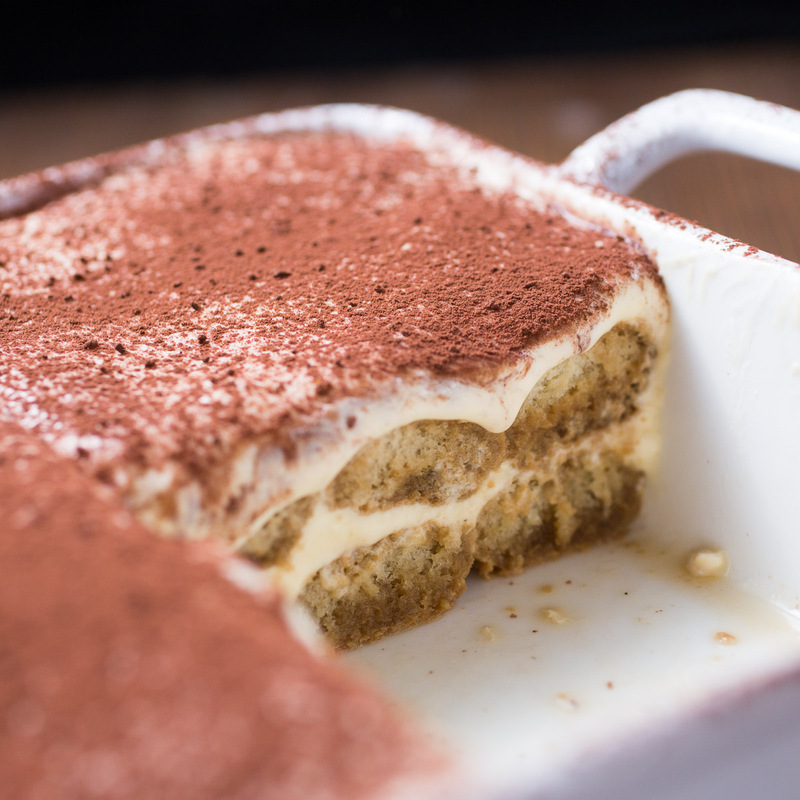 What I also love about Tiramisu is that it’s sooo easy to make and almost fool proof. So with just a few steps you can create a delicious dessert, that will impress at every dinner party. 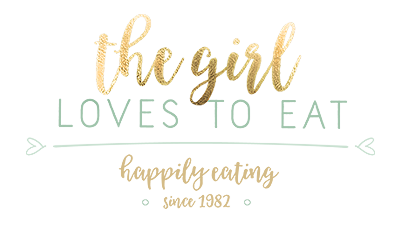 So if you haven’t tried to make it yourself, go and give it a try! 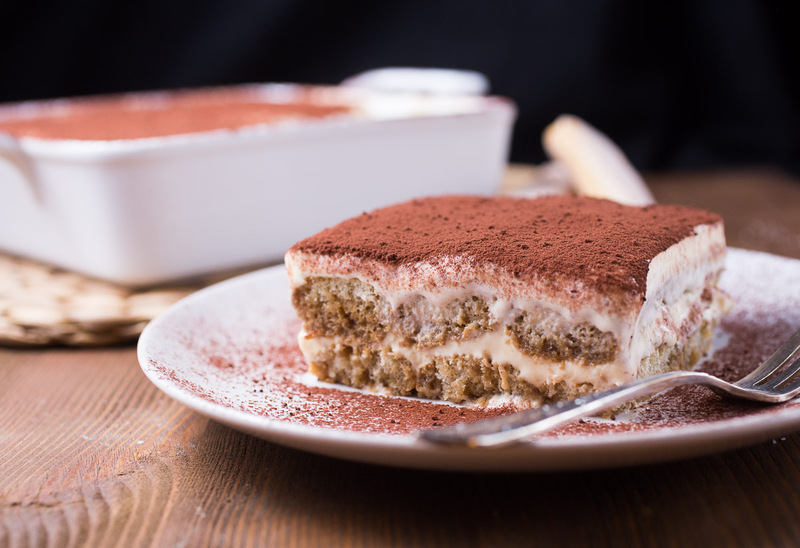 One of the most delicious italian classic desserts. In a bowl add the yolks, the sugar and the vanilla and beat with an electric mixer until foamy. In a second bowl beat the cream and the stabilizer until stiff. Add the mascarpone to the yolks and mix well. Carefully add the whipping cream and fold it in until it's fully incorporated. Set aside. Take a square or rectangle dish and line the bottom with a layer of ladyfingers. Carefully pour some coffee over the biscuits until they are soaked and almost soft throughout. Add another layer of ladyfingers on top and soak them again with some spoonfulls of coffee. 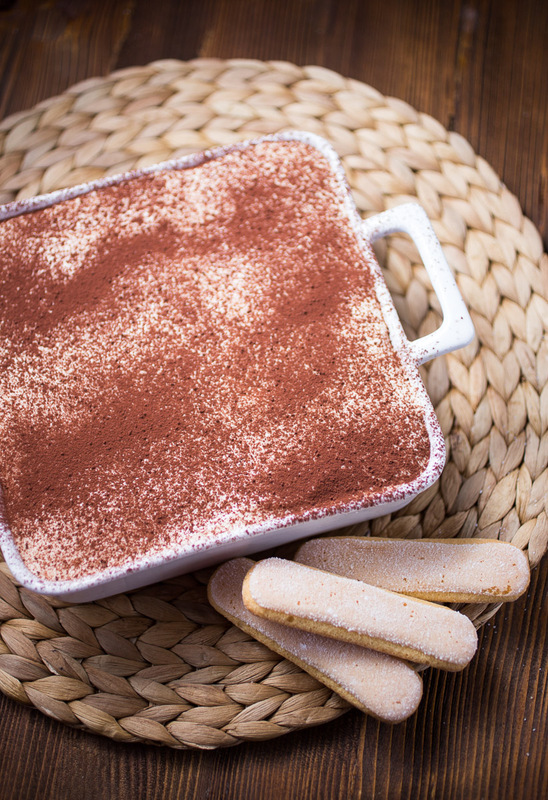 Finish the tiramisu with the remaining mascarpone mixture and spread evenly. 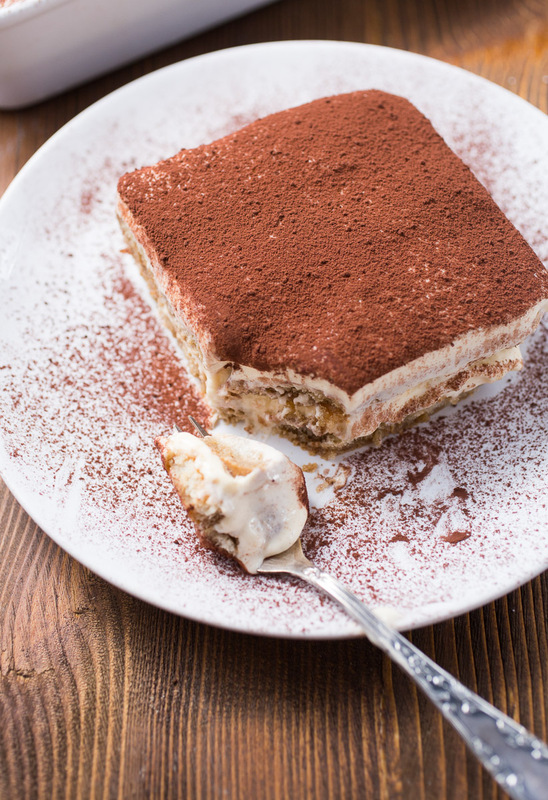 Put some clingfilm over the tiramisu and chill for at least four hours or until set. Dust with the cocoa before serving. Enjoy! I wish this were safe to eat each week…. so delicious! Your pictures are gorgeous – can’t wait to try this rendition! 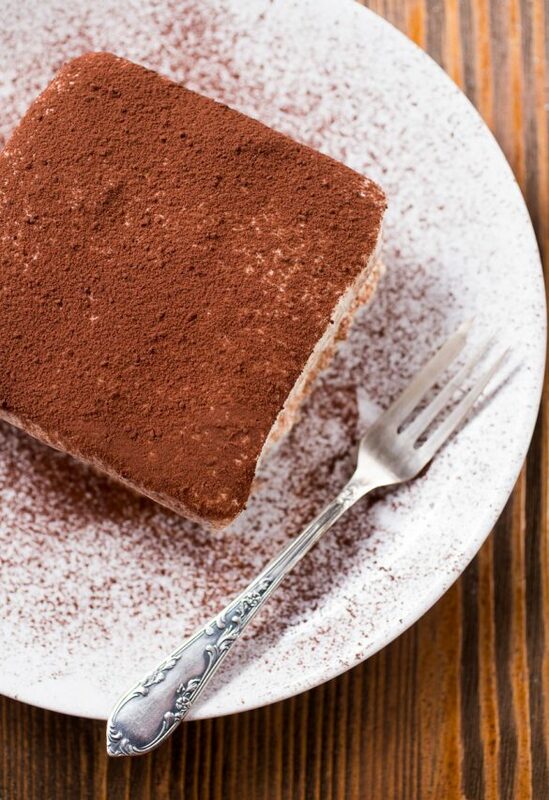 You definitely have got me craving a classic tiramisu right now.. this looks like perfection!